An International Gold Medal Winner with a golden character. 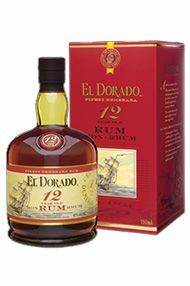 An elegant multi-award winning rum, El Dorado 12 Year Old typifies the smooth mellow sweetness of Demerara Rums . Savour it straight, on the rocks or in a classic Mai Tai cocktail. 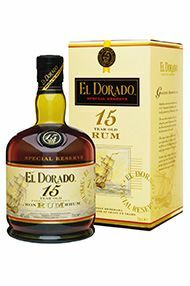 A blend of specially selected aged rums, the youngest being no less than 12 years old, it is a combination of the Enmore and Diamond Coffey stills and the Port Mourant double wooden pot still, blended to perfection and aged in old bourbon oak casks. 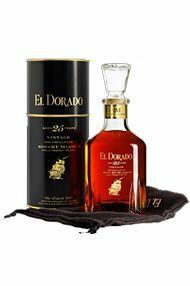 A monumental aged rum that is one of the world’s greatest rum drinking experiences” : That is how the Beverage Tasting Institute of Chicago summed up their appreciation of El Dorado 21 Year Old Special Reserve. 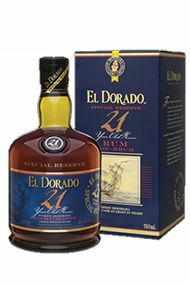 This is a blend of specially selected rums, oak aged for at least 21 years, from the Enmore wooden Coffey still, the Versailles single wooden pot still and the Albion Savalle still. 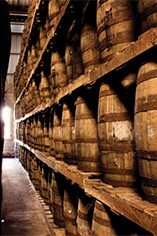 On the palate, lush tropical fruit and spice nose with hints of honey and dark sugar. Round, mellow, full bodied palate with rich flavours of fruit and spice.